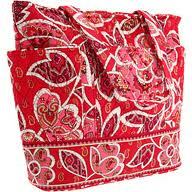 Vera Bradley is one of the leading brands of ladies handbags in North America. This popular manufacturer of women bags is known for its tradition of releasing new styles and designs for their handbag collection every season. 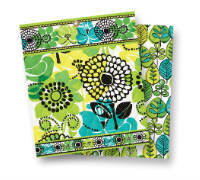 Last January, Vera Bradley released four brand new beautiful colors and designs for Spring 2012. 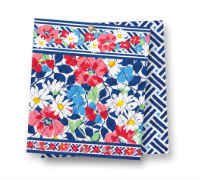 On January 19th, retail Vera Bradley sale outlets officially started selling the new Spring colors: Camellia, Ellie Blue, Island Blooms, and Rosy Posies. 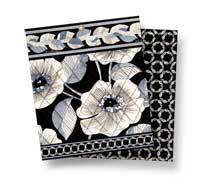 Camellia has a beautiful floral design pattern filled with white and neutral colors that gives it a striking contrast against its black background which makes the flowers stand out beautifully like a soft white glow from a moon light. A great print that is easy to match with almost everything in your everyday wardrobe. Ellie Blue has a more exotic multi-color floral pattern with stunning blue and yellow colors standing out and its elephants imagery gives it an Asian Indian textile style, accented with golden tints of the desert. This design reflects the exotic and mystical image of Indian art. A wonderful pattern for those who want to add more culture to their Vera Bradley handbag collection. Island Blooms design has a tropical floral pattern with milky white and green colors that cover an aqua lagoon background. Like the artistic style of Gauguin's Tahitian paintings, these tropical colors beautifully coordinate with one another to create a feeling of paradise. A great pattern for travel bags if you like to take trips to an island resort during the holidays. 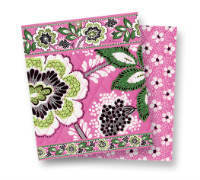 And last but not least, Rosy Posies is the fourth Spring 2012 color from the Vera Bradley collection. This design creates a harmonious kaleidoscope of rosey hues and patterns which consists of an attractive combination of pink, red, and a bit of lavender. If you are looking for something very feminine, Rosy Posies is the perfect new color for you next handbag purchase. All of these new fabric handbag designs are perfect for women of all ages. These fresh spring colors come in many different styles of handbags. Check out our Vera Bradley listings to see what online sellers have available on sale at great bargain prices. 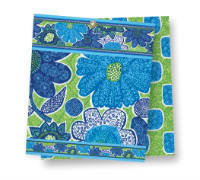 Also, the new Vera Bradley Summer 2012 colors were released recently and available for sale. Check out the newest Vera Bradley Summer colors Doodle Daisy, Lime, Priscilla Pink, and Summer Cottage below. Vera Bradley Va Va Bloom Messenger Bag July 2012 - Nov. 2013 12" x 16"
On the left is an image of the new Vera Bradley Go Round Tote in Rosy Posies, which is a popular women's bag this season. If you enjoyed looking at these colors and patterns, also check out past popular designs from the 2011 and 2010 collection in the menu on the right bar.